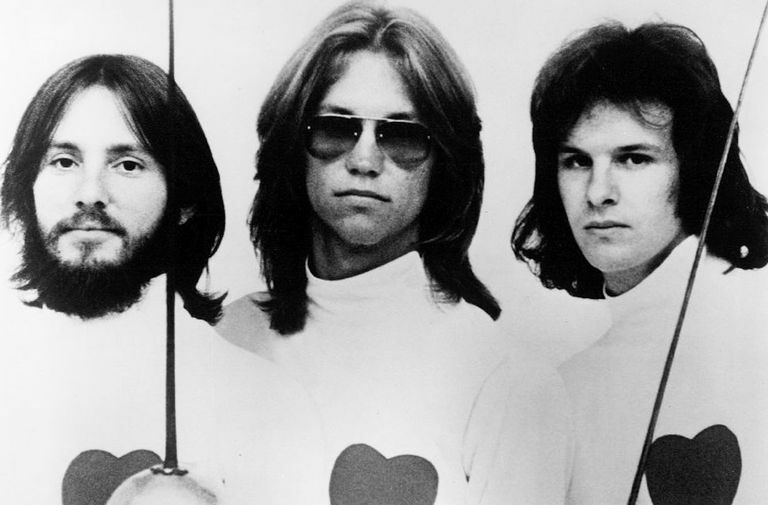 Though they were capable of sunny California pop and Beatlesque melodies (both of which were helped along by The Beatles producer George Martin), America were one of the defining soft-rock trios of the late '70s, sporting killer harmonies, strange lyrics, and a knack for pop hooks that could ape just about anybody. "A Horse With No Name" is the soundtrack to Walter White's traffic cop meltdown in "Breaking Bad," but while that remains the band's easiest-to-spot song, "Ventura Highway" sometimes pop ups when a beautiful sunny day and a road trip coincide, as in We Are Marshall or "Veronica Mars." Early years: The three guiding members of America, despite their name, met in strangely similar, decidedly multinational circumstances. All three were Air Force "brats," having grown up in the States but transferred to the US base in London — all children of American military personnel with British wives! — and attending Central High, an American-style high school set up specifically for such children. In 1968, they began performing in nearby clubs, but upon graduation, they naturally grew apart, with Peek returning to his native Virginia to attend college. Eventually, however, the trio decided to reunite in London. Success: Scenester and club DJ Jeff Dexter soon took notice of the group's abilities while seeing them gig around the city, and soon he lined up an audition with Warner Bros' London division. The trio's debut single, "I Need You," would eventually become a hit in the States, but while it established them in the UK, America the country wasn't buying. That is, until the second single, "A Horse With No Name," was released. Striking a chord with its style (very reminiscent of Neil Young) and oblique, dreamy lyrics, it shot straight to the top, and America the band took off; their debut album spun off three hit singles. Later years: Boasting three singer-songwriters and a variety of styles from folk to Beatles balladry to California pop, America dominated the AM waves for half a decade. But by 1977, co-founder Dan Peek, tiring of the rock lifestyle, became a born-again Christian and left the group. Backed by songs from noted tunesmith Russ Ballard, the group continued as a duo, scoring a hit in 1982 with Ballard's "You Can Do Magic," but never quite regained their foothold on the charts. The now-duo continued to sell, though, and has never really stopped touring; in 2007, they staged a studio comeback with Here & Now. Notable covers: Harry Nilsson covered "I Need You" in 1976; Garth Brooks covered "Don't Cross the River" in 2001; two years later Christian rock band Jars of Clay covered "Lonely People"; Janet Jackson's 2001 hit "Someone to Call My Lover" heavily samples the opening guitar riff from "Ventura Highway"
Movies and TV: The band sang the title track for the 1982 animated fantasy film The Last Unicorn and also performed "Right Before Your Eyes" the same year on sketch comedy legends "SCTV"; the cult classic "Mystery Science Theater 3000" TV show often recited the chorus to "Tin Man" when the credits of a bad movie mentioned casting director Bill Tinsman.